Thank you everyone for your entries. The winner will be announced soon. Don’t forget to follow us on Facebook to stay up to date on contests, events and more! Go Wheat Kings! FINAL CHANCE TO BE A WHEAT KINGS VIP!!!! 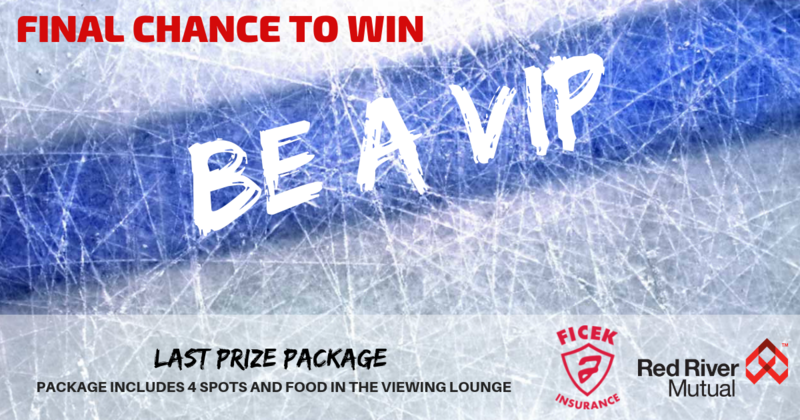 Win the last Wheat Kings VIP Packages that includes 4 tickets and food in the viewing lounge to Wheat Kings vs Prince Albert Raiders on February 16th, 2019. Enter here for the last VIP Contest Package. Thank you everyone for your entries. Winner of the final package to be announced soon. Don’t forget to follow us on Facebook to stay up to date on contests, events and more!